It was 11:30 on a foggy night in Raleigh on Saturday, Nov. 23, 1963. The previous afternoon, President John F. Kennedy had been shot on the streets of Dallas. Just a block from the North Carolina State Capitol, at 201 Hillsborough St., Apartment No. 1 was about to be thrust into one of the most profound mysteries behind the assassination. And it would be a generation before its meaning would be understood. That night, nearly 1,200 miles away at the Dallas Municipal Building, Alveeta A. Treon arrived for her shift at the telephone switchboard. Treon would relieve her co-worker, Louise Swinney, who had been given orders by their supervisor to assist two men in listening to a call that would come through their switchboard. Treon assumed the men were Secret Service. She suspected that Lee Harvey Oswald, the accused assassin being held in the downstairs jail, would be making another call. He had already phoned his Russian wife, Marina, and an ACLU lawyer in New York. This call, however, was different. Oswald rang the switchboard at a quarter till 12, Raleigh time. Swinney took the call and scribbled Oswald's information as the two men listened in. "I was dumbfounded at what happened next," Treon later told a former Senate investigator. "Swinney told [Oswald], 'I'm sorry, the number doesn't answer.' Swinney then unplugged and disconnected Oswald without ever really trying to put the call through." Afterward, Swinney tore the sheet from her note pad and threw it into the trash. She left, her shift having ended. Treon retrieved the wadded piece of paper from the trash and copied the information onto a standard long-distance telephone call slip to save as a souvenir. The slip reveals that Oswald had given Treon the name "John Hurt of Raleigh, N.C."
After the release of the Warren Report , the U.S. government's official version of the assassination, in 1964, a CBS poll found that more than 40 percent of Americans surveyed said there was more to the assassination than the U.S. government had revealed. In 1976, a Gallup Poll found that 81 percent believed in a conspiracy. A recent CBS survey found that 90 percent of Americans reject the Warren Commission's conclusions. 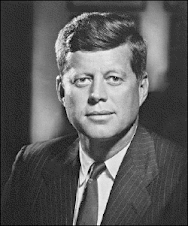 In the nearly 50 years since President Kennedy's assassination, hundreds of respected researchers have dedicated decades of their lives in their search for the truth, not just about the assassination but for what they describe as America's hidden history: How the "official version" of events is promoted by the U.S. government and perpetuated by a cooperative, if not complicit media. Although many are professional investigators, photo analysts, pathologists, journalists, historians or lawyers, most approach the assassination not as a vocation but as an avocation. An engineer conducted crucial studies of the president's autopsies. A flight attendant performed respected research into Oswald's ties to military intelligence. A high school teacher uncovered important information about the Texas connection. And key facts about JFK's Vietnam withdrawal directive was revealed by a Southern California real estate agent. In fact, because of Proctor, Oswald's attempt to reach out to John Hurt has become known as the Raleigh Call. Nine years after the assassination, Proctor, then a graduate student at Wayne State University in Michigan, was transfixed as the Watergate scandal unfolded on television. "Every evening, several of my friends and I would sit glued to the news, fascinated by the unfolding constitutional drama," Proctor said. "Late-night discussions inevitably gravitated to the conspiracy being brought to light by the televised hearings—and to the wider subject of political conspiracies in general." A friend of Proctor handed him a paperback copy of A Heritage of Stone, a book by New Orleans District Attorney Jim Garrison that concluded that the Kennedy assassination was plotted and executed by the CIA. "Already disturbed by the high crimes and misdemeanors of a fallen president as a result of the Watergate scandal, I was shaken to the core. Watergate had already convinced me that the government could lie to its own people. This book forced me to ask the question whether sometimes it also kills them." It was through the work of independent researcher Michael Canfield that a copy of the Raleigh Call slip first became public. He secured a copy of the slip, which became available as the result of a Freedom of Information lawsuit filed by a civil rights activist, while conducting research for the 1975 book Coup d'Etat in America. The book, co-authored with Alan Weberman, was the first major work to deal with the Raleigh Call, and the slip was reprinted in the appendix. On the slip were two numbers attributed to a "John Hurt": one for a John W. Hurt, one for a John D. Hurt. Canfield called both numbers. John W. Hurt turned up nothing of interest. However, when Canfield spoke to John D. Hurt, he sat stunned, silent when Hurt revealed, "I was in the counterintelligence corps in the Army during World War II." That Oswald called a former military intelligence officer from jail—only to be assassinated by Jack Ruby a little more than 12 hours later—was notable and, to that point, publicly undisclosed. Proctor became aware of Oswald's attempted call while riding on a train from Hartford to New York in 1980. Proctor was engrossed in Anthony Summers' book about the assassination, Conspiracy, when he came across a short paragraph about Oswald's call from jail: "The note preserved by Mrs. Treon reportedly shows that Oswald booked a call to Area Code 919." Proctor says: "I remember being pulled up short after reading that, thinking, 'Something about that sounds familiar.' It took a few seconds, but then I realized the area code 919 was Raleigh, my hometown." Proctor later dialed the first number on the phone slip and, to his surprise, John D. Hurt answered and confirmed the revelations in Canfield's book. In the way in which researchers have built upon one another's work to add to the wealth of information about the assassination, Proctor took the Raleigh Call a step further: Suspecting that Oswald had intelligence connections, he interviewed a former CIA agent. Victor Marchetti was a 14-year veteran of the CIA who had served as executive assistant to then-Deputy Director Richard Helms. Marchetti had also written extensively about the Raleigh Call in The CIA and the Cult of Intelligence, the first book on the assassination censored by the U.S. government. In an interview with Proctor, Marchetti stated that in calling Hurt, Oswald was clearly following standard procedure for a CIA asset under duress. This includes contacting his case officer through a "cut-out," an intermediary with no direct involvement in an operation—John Hurt. "[Oswald] was probably calling his cut-out. He was calling somebody who could put him in touch with his case officer," Marchetti told Proctor. "He couldn't go beyond that person. There's no way he could. He just had to depend on this person to say, 'OK, I'll deliver the message.' Now, if the cut-out has already been alerted to cut him off and ignore him, then ..."
Proctor: OK, if someone was an agent, and he was involved in something, and nobody believes he is an agent ... He is arrested, and trying to communicate, let's say, and he is one of you guys. What is the procedure? Proctor: If I was an agent for the [Central Intelligence] Agency, and I was involved in something involving the law domestically and the FBI, would I have a contact to call? 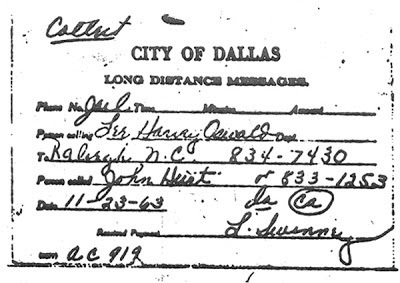 Whether the switchboard operator connected Oswald's call is irrelevant, especially since there appeared to be government agents monitoring the activity. His intentions were enough. As Marchetti told Proctor: "This time [Oswald] went over the dam, whether he knew it or not, or whether they set him up or not. He was over the dam. At this point it was executive action." Assassination. Proctor says he remembers thinking, as he had Marchetti on the phone: "I have really stepped over into a place where I have NO referent at all. I had no background for the necessarily dirty world of spycraft. I suppose now, 30-plus years later, I have just about the same reaction." Raleigh wasn't Oswald's only connection to North Carolina. Although the U.S. government has contended that Oswald defected to the Soviet Union, he had been spotted at the Illusionary Warfare Training base in Nags Head, which instructed young idealists to be fake defectors to the Soviet Union. Marchetti wrote that the program created "young men who were made to appear disenchanted, poor, American youths who had become turned off and wanted to see what communism was all about." "When I later learned [in November 1963] that Oswald had been arrested as the lone assassin, I remembered having met him on a number of previous occasions which were connected with intelligence training matters, first at Illusionary Warfare Training in Nags Head, North Carolina, then in Honolulu at radar installation and at Oahu's Wheeler Air Force Base, then in Dallas at an Oak Cliff safe house on North Beckley Street run by Alpha 66's Hernandez group, who had worked out of Miami prior to the assassination." Oswald's intelligence connections were further verified in a 1975 congressional investigation. In September of that year, U.S. Rep. Richard Schweiker was appointed to chair the Select Committee to Study Governmental Operations with Respect to Intelligence Activities. Schweiker had the credentials for the job: He had served on the Church Committee, which revealed gross misconduct of the CIA, FBI and the military in their surveillance of U.S. citizens. The Select Committee was tasked to investigate intelligence agencies with respect to the JFK assassination. Afterward, Schweiker revealed: "We do know Oswald had intelligence connections. Everywhere you look with him, there are the fingerprints of intelligence." A year later, Congress launched another investigation, this one by the House Select Committee on Assassinations (HSCA), also charged with probing the assassinations of JFK and the Dr. Martin Luther King Jr.
Surell Brady was on the committee's staff and investigated the Raleigh Call. Brady wrote an exhaustive 28-page report outlining Canfield and Weberman's findings. Although the report clearly states that Oswald attempted to call a former military intelligence officer with whom he had no identifiable ties, that detail was omitted from the HSCA Final Report. The trend of ignoring provocative evidence in government investigations continued. The Raleigh Call remains one of the most disturbing, unexplained and ignored aspects of the JFK assassination. In an interview Proctor conducted with HSCA Chief Counsel G. Robert Blakey, he reaffirmed what has become the last official word on Oswald's attempted call. "I consider it unanswered," Blakey said, "and I consider the direction in which it went substantiated and disturbing, but ultimately inconclusive. The bottom line is, it's an unanswerable mystery." As we enter the 50th year after the assassination, expect an onslaught of books, television programs and movies pertaining to the assassination. Virtually every network will produce a show purporting to have the definitive word on the JFK assassination. Judging from previous efforts, they will likely support the conclusions of the Warren Commission and not those of the government's more recent investigations. And odds are good that researchers who have uncovered key documents will be, at best, dismissed. You can find the enormous body of work at Andy Winiarczyk's Last Hurrah Bookshop in Williamsport, Pa., the world's definitive book store devoted to the JFK assassination. The three-story converted house reveals the massive scale of independent research: more than 2,000 titles. Of those, only a small minority reflect the Warren Report. The rest document the indefatigable work of independent researchers such as Proctor, whose findings have added up into a coherent and compelling counter-narrative. "In many cases, researchers fight the institutions for years—FOIA request after FOIA request—trying to get one document pertaining to one tiny piece of evidence," said Andy, as he's known among his fellow researchers. "When they finally get that piece of information, they piece it together with their previous research or with the research of others, and then write a book. And while that one book might be incomplete, taken in toto with the work of the research community, the truth behind the assassination becomes quite clear." Despite the 2,000 titles at the Last Hurrah, most of the national attention given to books about the assassination has focused on just two works that defend the government's official version: MSNBC contributor Gerald Posner's best-seller Case Closed, published in 1993, and 2007's Reclaiming History by former Los Angeles prosecutor Vincent Bugliosi. Posner's Case Closed was released in time for the 30th anniversary of the assassination. "It caught this incredible wave," Andy says. "It appeared on the desks of all the major media who would say, 'We don't have to read anymore, we don't have to trouble ourselves, here's someone who's sorted it all out.'" But Posner's research was selective. Although he reviewed the 26 volumes of the Warren Report, Andy says, "he found what he wished to find. But he didn't go really much beyond that." Nonetheless, Posner made the press rounds: 60 Minutes, network specials, the Sunday morning political roundtables and even the morning shows. Posner appeared on the Today Show in the now infamous segment "Truth or Conspiracy." Host Katie Couric proclaimed that the three to four years Posner spent on the case amounted to "tons and tons of research." While Case Closed was a best-seller, Bugliosi's 1,648-page defense of the Warren Report hovered at No. 800 in the Amazon rankings. Yet even at that length, the book ignores the staggering 6 million documents that have been released under the JFK Records Act, as well as the mountains of independent research. The book's dismal sales didn't dissuade media outlets from booking its author. A staunch supporter of the Warren Report, Bugliosi appeared on The Colbert Report, The Daily Show, C-Span and 20/20 to herald his confirmation of the government's version of events—and in doing so, marginalizing the work and evidence that counters that view. "The dismissal and ostracizing of the pro-conspiracy group—including independent researchers, members of Congress and congressional investigators—continues [to this day]," Proctor says. The media's role in perpetuating the official government version is significant—and very effective. And for good reason: Reporters and editors have helped the government itself. Among the revelations of the Church Committee hearings was CIA Document #1035-960. This document, dated Jan. 4, 1967, and marked "PSYCH" for Psychological Warfare, directs CIA agents to counter critics of the Warren Report by using "liaison and friendly elite contacts (especially politicians and editors)" and "to employ propaganda assets to answer and refute the attacks of the critics." Those cozy relationships were revealed in 1977, when Washington Post reporter Carl Bernstein—who had earned fame from his groundbreaking Watergate coverage—wrote extensively on information released by the Church Committee. His article detailing revelations of the committee hearings, The CIA and the Media, appeared in the Oct. 20, 1977, issue of Rolling Stone. The article exposed details of Operation Mockingbird, the CIA's effort to control the media. Through documentary evidence, Bernstein revealed a list of high-profile media organizations that willingly cooperated with the CIA: These include ABC, NBC, the Associated Press, Reuters,Newsweek, The Miami Herald and even The Saturday Evening Post. "But the most valuable of these associations, according to CIA officials, has been with The New York Times, CBS, and Time Inc.," Bernstein wrote. Quoting an unnamed CIA agent, Bernstein added, "One reporter is worth 20 agents." Yet some of the most strident voices against the idea of conspiracy have recanted, Proctor said. 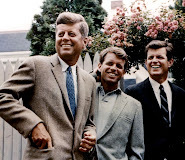 Case in point: Robert MacNeil of the MacNeil/Lehrer NewsHour, who recently stated in a filmed interview for the documentary Beyond JFK: "We've seen revealed one conspiracy after another. Anybody would have to be a fool, nowadays, to dismiss conspiracies. 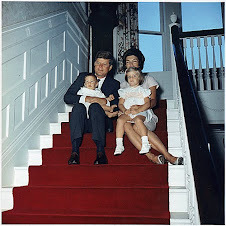 And perhaps we lived in a fool's paradise before the Kennedy assassination." Even New York Times columnist Tom Wicker, a former defender of the Oswald-as-lone-nut theory,reconsidered his position. "I think there's enough evidence now that there's certainly doubts about that," wrote Wicker, a North Carolina native. There are many psychological theories that people innately need to believe in conspiracies. However, Walt Brown, author of numerous books on the JFK assassination and a college history professor, offers a counter view: "Imagine the police come to your house to tell you that, God forbid, your daughter has been killed. Once you get it together, you ask, 'What happened?' Well, the cop tells you, we're not sure. It's either a psycho that got loose from the asylum or a bunch of Hell's Angels that killed her. "In this scenario, the guy from the asylum was just one of those fluke things that happens: an accident. At least it wasn't systemic, institutional and organized. Well, Lee Oswald is the accident and conspiracy is systemic. As a father, I'm going to pray for the accident." John Judge, co-founder and director of the Coalition on Political Assassinations, put it best: "The political paralysis in America is based on the fact that we are allowed to believe anything but to know nothing, [author] Martin Schotz said so perceptively in History Will Not Absolve Us," Judge said. "And if you cannot know, you cannot act." That's precisely why, Judge believes, the word of independent researchers is so important. Will we ever know the truth? We may already. "Who is to say that, somewhere in that morass of opinion and deception, the real answer hasn't already been revealed?" Proctor says. "The government and the press—by abrogating their responsibilities—have deprived us of the normal and official venues for discerning the truth." It's important to know the truth about the Kennedy assassination not only to correct the historical record but to reveal the motivations for obscuring it in the first place. The knowledge should prompt us to be circumspect about what we "know," and to question other official versions of contemporary events. "Why is it important?" Proctor asks. "For the same reason it was important to Galileo to correct the prevailing official position that the sun revolved around the earth. 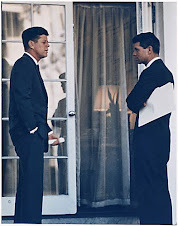 Those who have devoted their lives, resources and intellect to trying to uncover the truth about the Kennedy assassination have decided that, twice now, the U.S. government has been less than candid about its conclusions on who killed the President of the United States. At the level of American politics and freedom itself, can there be a more worthy cause?" Randolph Benson is an award-winning, Durham-based filmmaker. His films have garnered the Gold Medal in the Academy of Motion Picture Arts and Sciences' Student Academy Awards and a Kodak Excellence in Filmmaking Award at the Cannes Film Festival, among others. His work has been featured on the Bravo Network, the Independent Film Channel and UNC-TV as well as several international channels. His current project, The Searchers, is a portrait of researchers of the Kennedy assassination. The film is slated for a spring release.